The Hokitika area hosts a large artisan community and also boasts some unique attractions, including the must-do West Coast Treetop Walkway and the Hokitika Gorge. Further south are the truly awesome sights of the Fox and Franz Joseph Glaciers and and of course, the Gates of Haast and Jackson Bay at the southernmost tip of the West Coast. The Luminaries: Hokitika is the setting for this Man Booker Prize winning novel, written by Eleanor Catton. Roddy Nugget: the largest gold nugget found in New Zealand, weighing a massive 3.1kg was unearthed in Ross. Pounamu: keep an eye out for a piece of greenstone washed down from the rivers as you beachcomb in Hokitika. The arts and craft community includes photographers, painters, gold and silver smiths, glass blowers, sculptors, wood turners and potters. National Kiwi Centre: here you’ll find live kiwi, feed some very large eels, and admire the ancient tuatara. Glow-worms Dell: situated on the north side of town, this offers a great light display. Make sure you go at night! Hokitika is an entry and exit point for the new, easy West Coast Wilderness Trail. The sections around Hokitika go through rainforest, by lakes, and along historic water races and provide amazing views of the surrounding mountains. Blue Spur Head to the hills for some great mountain biking trails. Lake Mahinapua: visit for wealth of family-friendly walks, including the Mahinapua Walkway and some good swimming in the warmer months. Lake Kaniere: a stunning spot for picnicking, water skiing, kayaking, and fishing. Good walks include Lake Kaniere Walkway, giving great views of the lake, and the more adventurous can tackle Mt Tuhua for 360-degree views. 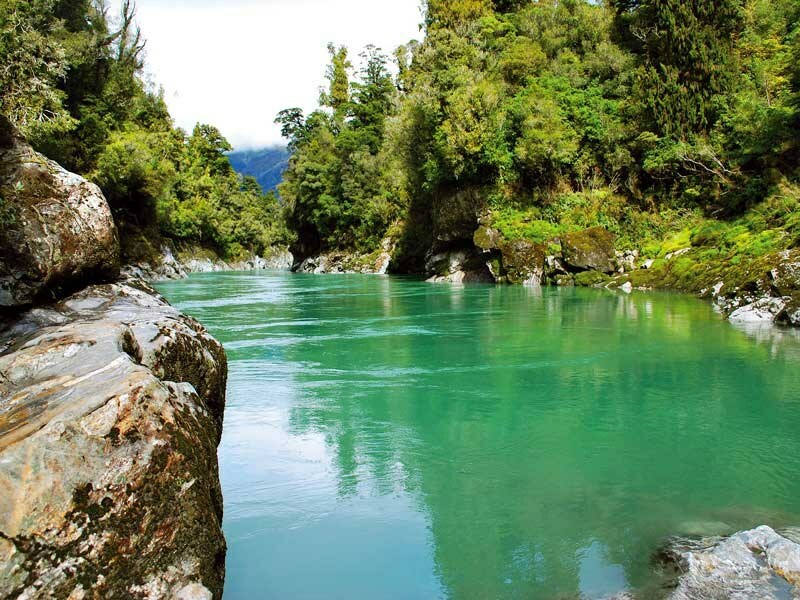 Hokitika Gorge: a 40-minute drive from town, this is a must-see. There is a short accessible walk (five minutes) from the car park to a viewing platform overlooking unbelievable turquoise water. Lake Lanthe: hollowed out 14,000 years ago, there are two beautiful picnic spots and a DOC campground here. Wildfoods Festival: challenge your taste buds at this annual celebration, where huhu grubs, kangaroo, and possum can all be found on the menu. Services in Kumara include a gas station, dairy, and a lovingly refurbished hotel offering dining and accommodation. The Coast Farm Market: Saturday 9.00am-1.00pm, The Junction Honey Cafe, SH 6, Kumara Junction. Arguably one of New Zealand’s most special places, this tiny township is situated on a sand spit dividing New Zealand’s largest wetland and the Tasman Sea. It is an ecological gem with over 70 species of birds recorded here and a popular whitebaiting spot in season. 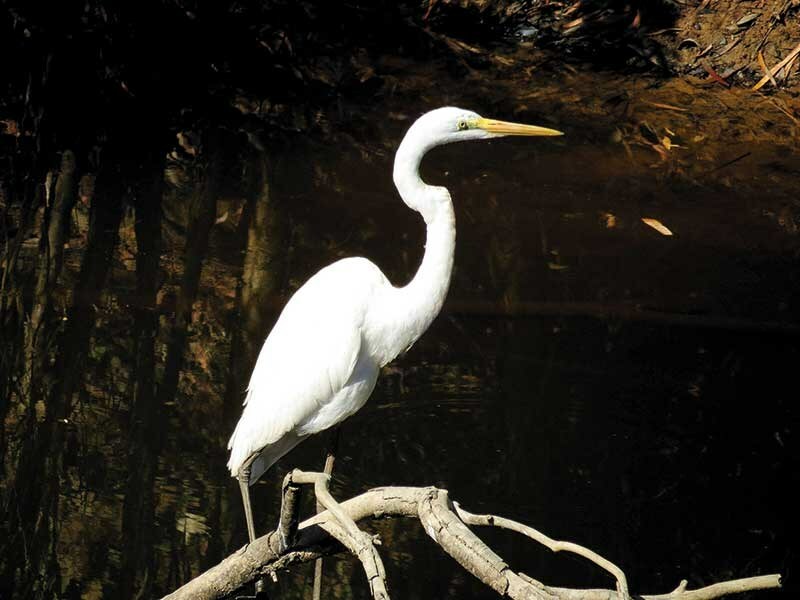 Okarito Lagoon: to see the variety of birdlife, hire a kayak or take a guided kayak or boat tour. Wetland Walk: there is also the easy 20-minute walk, starting at the Old School House and crossing the estuary on a curving boardwalk. Wharf Shed: there are historical records and photos on Okarito’s gold mining history in the harbour masters wharf shed and the historic Donovan’s Store has been lovingly refurbished by the locals. The rowi: New Zealand’s rarest kiwi nestles in the forest at Okarito. Okarito Kiwi Sanctuary: take an evening tour to see the kiwi going about its business in the wild at the DOC-run sanctuary. Three Mile Pack Track: walk the cliff tops to the historic site of extensive sand gold mining. Okarito trig: take a side trip up here where you get 360-degree views of the lagoon, sea, and Southern Alps. This wee town has the widest main street in the South Island. It was the landing site of the first solo Trans-Tasman flight, when Australian Guy Menzies went off course during his 1931 flight and landed upside down in the La Fontaine swamp. There is a replica of Guy Menzies’ biplane on the main road. Hari Hari Coastal Walk: this 2.5-hour traipse is well worth the effort. Franz Josef Glacier – or Franz, as its known by the locals – is one of the most popular tourist stops on the West Coast. Home to the Franz Josef Glacier, the township offers some great adventure activities, as well as things to do for those who want a more relaxing pace. Te Ara a Waiau Cycleway: walk or bike this track to the car park, five kilometres south of the township and do the Franz Josef Valley Walk to the terminal face barrier – it’s a flat walk, allow about an hour. From the glacier carpark you can also walk to Peters Pool (25 minutes, wheelchair accessible) or Sentinel Rock (20 minutes) for different views of the glacier. For a longer walk, head up the Roberts Point track, which climbs along the valley wall. Along the way, you will see the historic Hendes Gallery. Extreme adventurers can do the highest tandem sky dive in the country – at 19,500 feet, you get 75 seconds of freefall. Not for the faint-hearted! Glacier Hot Pools: soak away your tired limbs in either the private or public pools. Tartare Track: a nice short walk near the town centre that takes you through old gold workings. Lake Matheson: the ‘must do’ walk is just 6km west of the township. The reflections of Aoraki Mt Cook and Mt Tasman mirrored in the lake waters are amazing, but get up early as the best photo opportunity is at dawn! A lakeside boardwalk through native forest encircles the lake – allow an hour. Gillespies Beach: take the well-formed gravel road to where a short walk will take you to the few remains of a gold dredge that worked this land. Nelson reader Pip Harvey heads to Lewis Pass Scenic Reserve to visit the Lake Daniell track. Heather Whelan gets into the heart of west coast wilderness in and around Greymouth and Hokitika.